At Palos Verdes Villas we offer a suite of services that allow your loved ones to live as independently as possible while receiving all the help they need, when they need it. We are dedicated to providing the best care and services to our residents and will work with you to develop a personalized care plan that will nurture your loved one’s physical and emotional well­being. 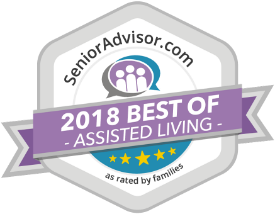 With a responsive team that combines 50 years of assisted living experience, you can rest easy knowing that your loved one is in good hands and is receiving the best care possible. We offer round the clock care with wellness monitoring so that all medical and lifestyle needs are met at any time of the day or night. Staying active helps stave off several age­related problems so that seniors can stay more independent longer. At Palos Verdes Villas our residents enjoy all the privacy and independence they want, knowing that our staff is always around to give them a helping hand and maintain their safety. This helps encourage the idea of independence with care. Our services are further customized by allowing our residents to create their own schedule based up their interests, preferences, routines and abilities. Our residents also enjoy frequent visits to the local YMCA, movie theater, park and church. At Palos Verdes Villas we do not believe in cookie cutter solutions for seniors. We take great pride in offering customizing personal care for each individual so our residents take their lives where they want while retaining their individuality. Your loved one will have assistance with escorting, eating, bathing and incontinence care, medication management or dressing. We are here to help in every way. We believe that assisted living should be within reach of all. Our signature care package starts at $1,700. There is no additional entrance fee and we do not tie you down by asking you to sign a long­term contract. Located in beautiful Rancho Palos Verdes, our residents enjoy breathtaking views Palos Verdes and San Pedro Harbor from their rooms. All rooms are fully furnished with ensuite bathrooms. Other facilities include an on­site beauty salon, library and common room. We foster a sense of community at Palos Verdes Villas so that you never have to worry about your loved one being alone. Daily group activities are organized to help our residents interact with each other, get to know each other better and build lasting relationships. Ours is a small owner operated facility with less than 100 residents. The size is just perfect to ensure that it’s large enough to find plenty of company yet small enough so everyone knows one another.